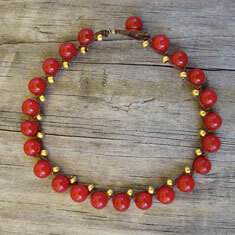 Faceted tiger iron ovals are striated with yellow ochres and red. 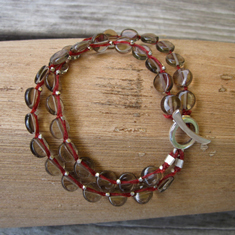 Woven on red waxed linen with tiny Thai silver beads and decorative sterling silver clasp. 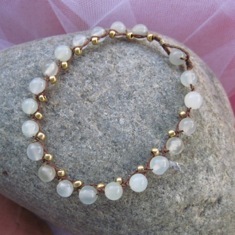 Beautiful by itself or layered with other RB bracelets.